One of the best things about studying chemistry at NTU is the opportunity to gain hands-on experience in laboratory sessions from the beginning of the course. One of the best things about studying chemistry at NTU is the opportunity to gain hands-on experience in laboratory sessions from the beginning of the course. I’ve learned how to undertake supervised experiments competently and reproduce procedures from research articles. This means I’m more appealing to employers because I’ve gained the skills they look for and I’m open to learning more so that I can grow within my field. The transferable skills I’ve picked up on the course serve as an added bonus because I’m not limited to just one area. I feel that I could work in most industries including corporate, healthcare and technology. 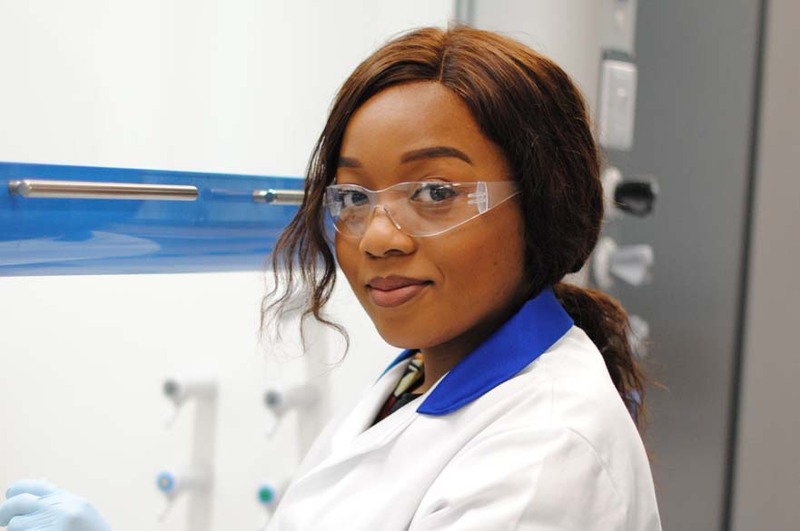 I undertook a summer placement at NTU working as a research student with one of the research groups in the chemistry department. During that time I was able to perfect some of the skills I had picked up on the course and learn new ones as well. Fortunately, I was able to continue with the same research for my final year project. The highlight of the project was successfully producing a pure compound that had never been completed by the research group and which helps the progress of the area we were looking into. Studying chemistry at NTU has developed my understanding in what routes are open to me based on my interests and strengths. After completing a masters, I hope to work in an organic chemistry synthesis laboratory in a chemical company or for a pharmaceutical chemistry company.